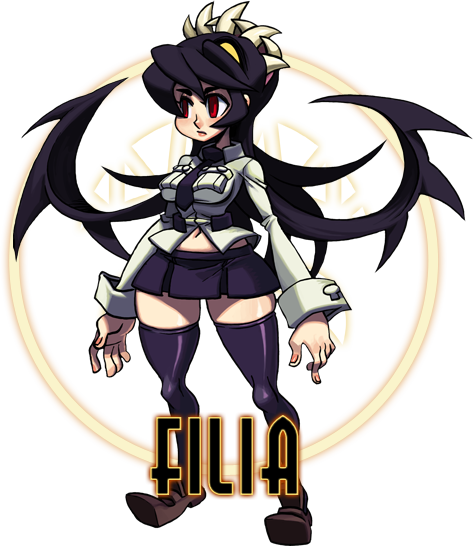 Filia was once just an average schoolgirl, but one day woke up without any memories and a second mouth on the back of her head. She was now playing host to a Parasite named Samson, an unruly mop of demonic hair with incredible power. With no memories or anyone to turn to for help, if she ever hopes to piece together her past and survive the inevitable clash with the Skullgirl, Filia will need to trust this mysterious being.